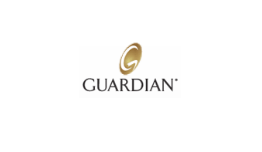 Guardian is one of the largest mutual life insurance companies in America, with 146 years of experience in providing diversified financial solutions, including life insurance, disability income insurance, retirement services,employee benefits, and investments. Not only is the policy conditionally renewable for life as long as you’re working full time, but you also own the policy, and benefits are paid to you directly. Unlike many employment benefits, the coverage under ProVider Plus doesn’t reduce or end if you leave your current employer.